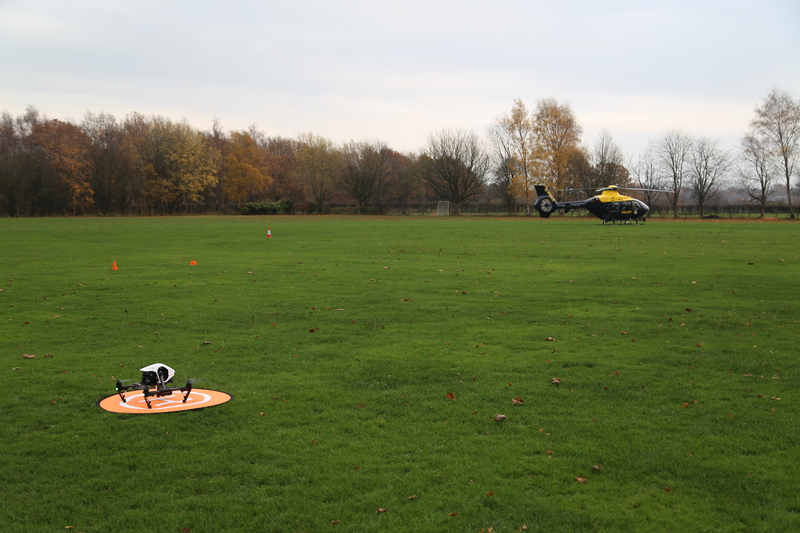 Operation Zenith, an ambitious drone demonstration at Manchester Airport, has shown that drones can be flown safely alongside manned aircraft in controlled airspace. The drones, overseen by NATS air traffic controllers communicating with drone operators via Altitude Angel’s GuardianUTM Airspace Management Operating System, successfully performed a series of on-airfield tasks without endangering or disrupting airport operations. The carefully-planned unmanned aerial vehicle (UAV) scenarios, which included an equipment delivery, runway inspections and obeying an automated instruction to clear the skies for an ‘emergency’ police helicopter landing, were designed to showcase how it is possible to unlock the enormous social and economic benefit of drones while protecting today’s manned aviation. The Operation Zenith demonstration was presented by an aviation industry collaboration led by NATS, the UK’s leading provider of air traffic control services, global unmanned traffic management (UTM) aviation technology company Altitude Angel and Manchester Airport, the third-busiest airport in the UK. 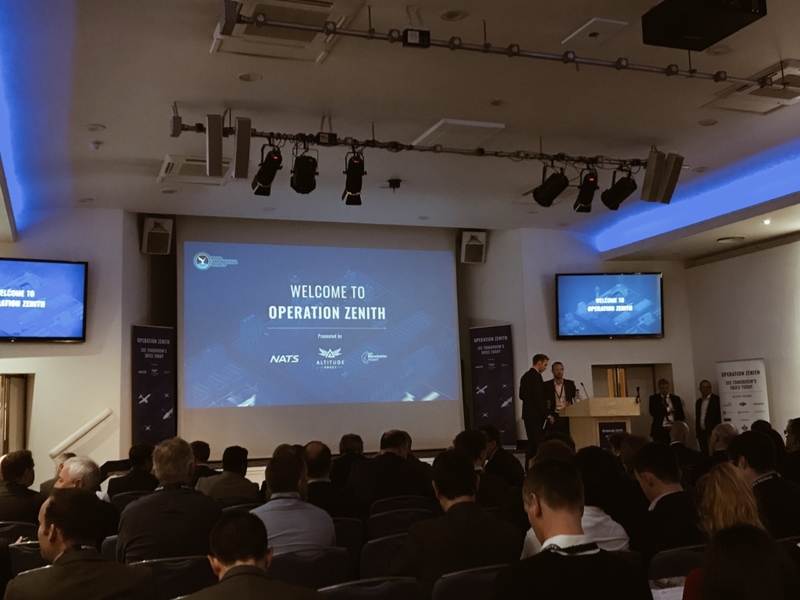 Live-streamed to an invited audience at the Royal Aeronautical Society in London, Operation Zenith is the UK’s first contribution to the recently-launched European Commission’s U-Space Demonstrator Network. Employing air traffic management systems and technology interfaces that are compliant with U-Space programme requirements, the success of Operation Zenith provides a realistic view of a future in which UAVs can be flown safely within visual line of sight and beyond (VLOS/BVLOS) in integrated airspace. Richard Parker, Founder and Chief Executive Officer of Altitude Angel, said: “We are very pleased with the performance of GuardianUTM O/S, our airspace management solution, during Operation Zenith. Designed for deployment by ANSPs who want to offer the types of capabilities demonstrated today, the software successfully managed a busy and complex airspace, fully automated, during a series of scenarios designed to be representative of real-world situations that the industry hasn’t previously tackled. Chris Wild, Head of Airfield Operations at Manchester Airport, said: “We are delighted how the demonstration came together to showcase how manned and un-manned aviation can be undertaken collaboratively within controlled airspace. “Manchester Airport welcomes 28 million passengers a year and handles over 200,000 air transport movements and therefore drone use, regulation and technological mitigation has been a real focus for us over the last few years. As an airport we are fully supportive of co-operative drone operations and we are committed to influencing regulation and embracing new technology that allows piloted and unmanned aviation to take place in harmony.